The time has come for a new idea and a new word to describe that idea. The new word is urbanature. The idea this word describes suggests that nature and urban life are not as distinct as human beings have long supposed. Urbanature (rhymes with “furniture”) suggests that all human and nonhuman lives, as well as all animate and inanimate objects around those lives, are linked in a complex web of interdependent interrelatedness. This website–Urbanatural Roosting: Planetary Living for the New Millennium–is designed to take the idea of urbanature and to apply it to the practicalities of living in urban, rural, and even wild settings during the early decades of the 21st century. Hawks are roosting on skyscrapers near Central Park East and Central Park West. Peregrine falcons are feeding on the Flatiron Building, and owls are nesting throughout Manhattan (Yolton).The High Line (photo above) runs for a mile-and-a-half through southern Manhattan Island, having transformed a former elevated rail line into a setting for gardens, trees, plantings, and parkland. Meanwhile, thousands of environmentalists are boarding carbon-gulping airplanes, flying hundreds of thousands of miles—carrying tons of petrochemical Gore-Tex—in order to get “back to nature” in Montana or Mauritius. At the same time, the World Wide Web frequently tells us that Henry David Thoreau said, “In wilderness is the preservation of the world.” Over 600 websites say so. But Thoreau did not ever say, “In wilderness is the preservation of the world.” He actually said, “In Wildness is the preservation of the world” (“Walking” 273, my italics). That difference—between “wildness” and “wilderness”—makes all the difference. The interconnectedness demanded by urbanature insists that human beings are not out of nature when they stand in the streets of Manhattan any more than they are in nature when they stand above tree-line in Montana. When nature-lovers say that they long to return to nature, they are making what the philosophers call a category mistake. As Tyler Stalling has recently noted, “There is no ‘real nature’ to which to return. Rather, in the face of burgeoning technologies such as nanotechnology and genetic manipulation, the once defined border between nature and culture is obsolete” (“Lore of Humankind”). Urban culture and wild nature come to much the same thing: urbanature. So far, only a handful of artists and designers have invoked the portmanteau word “urbanature” to describe this important link between city-style and wild-style. The designer and illustrator Shawna L. Handke invoked the term in 2008 as the name of an online shop (“Urban is our nature. Design is in our nature”) she was opening “to create a world that shares life the way I see it. I get torn between the hustle and bustle of the urban world and the stillness that you can find in nature. Of course, if you look, you can find stillness anywhere you go” (“The Urbanature Way”). Urbanature is also the name of a group of landscape architects in New Zealand and Singapore who seek to exhibit the “interplay of nature in the urban city” (urbanature.org). A Seattle rock band has adopted the name Urbanature, and a German experimental electronic musician—Eoh Ganesh—calls himself UrbaNature. 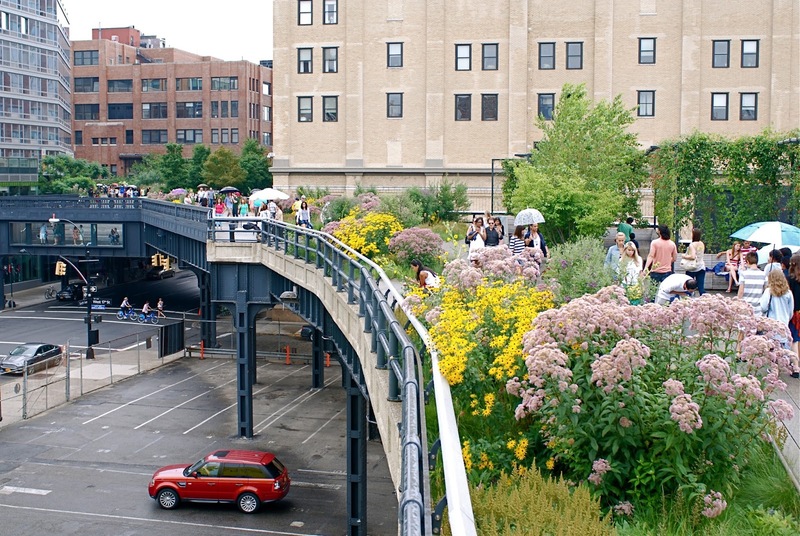 All of these uses of urbanature draw on the precise connection this website will emphasize: the idea that we can now naturalize our cities and urbanize our natural spaces in ways that will be to our human benefit and to the nonhuman environments around us. My coinage “urbanature” as a critical term has important connections to recent arguments about the need to rethink the idea of “nature” altogether. Enlightenment and post-Enlightenment ideas of “nature,” like a number of other concepts, have been invoked in so many differing ways over centuries that they are now past due for a rigorous verbal and cultural critique. A number of such ideas—my own list would include at least “imagination,” “identity,” “self,” and “consciousness”—are concepts that now seem worn down and enervated, often misunderstood and more often misapplied. A rigorous critique of “nature” is called for by a number of current scholars (William Cronon, Neil Evernden, and Dana Phillips, among others) and should also be of interest to all people who worry about their relationship to their nonhuman surroundings. This website will also make use of numerous texts (Romantic poems, nineteenth-century nature essays, Victorian prose fictions, contemporary ecocritical essays and books) and several methodological approaches (personal memoir, narrative scholarship, historical analysis, and ecocriticism) to argue for–and to apply–a rethinking of the idea of “nature” as it has been used since at least the middle of the eighteenth century. Crucial to urbanature is the idea that human beings are never cut off from wild nature by human culture. This is the central truth of all ecology. Nothing I can do can take me out of nature. There is nowhere for me to go. I am a natural being from the moment I am born (biologically) until the moment I die (organically). Instead of describing the nonhuman world anthropocentrically—in human terms—there are now good reasons to describe the whole world ecocentrically [eco-: oikos, house]. In addition, the wild places that many environmentalists have wanted to set aside in order to preserve nature, have often allowed those same environmentalists to ignore urban spaces, to assume that urban spaces were somehow beyond their purview, were somehow someone else’s problem. As Urbanatural Roosting: Planetary Living for a New MIllennium will make clear, the nonhuman natural house I inhabit is the same place as my fully human, cultural home. 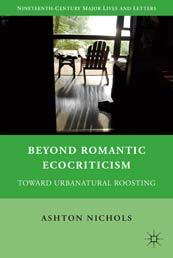 “Urbanatural Roosting,” as it has come to be come to be called, was released in paperback in 2012 by Palgrave Macmillan. Click here to order a copy. The time has come to apply the concept of urbanature widely, from the semi-wild edges of the Himalayas to the ecologically-contiguous villages of the European Alps, from the midPacific isles of Polynesia to the Middle Atlantic hills of North America. Urbanature also accurately describes wide suburban-sprawl filled with millions upon billions of flowers, trees, squirrels, and raptors, reaching from the Pacific edge of the Americas to the Ural edges of Europe, from Asian steppes to Andean fastnesses. This linking of urban spaces with natural places must also include wild and semi-wild creatures: animals in zoo cages and pets in high-rise condominiums, creatures on sidewalks, roofs, and skyscraper ledges from Bombay to Caracas, from Beijing to Brooklyn. Urbanature includes the biggest of all big pictures—every gust of solar wind and every swirl of every galaxy, every mountaineer climbing a mountains and every chemist making a new medicine, birds on buildings and fish in fishponds—as well as the smallest of all small pictures: pulsing microbes, bacteria, bacilli, and viruses. The globe is now completely mapped, filmed, and photographed, from those 1960s snap-shots of the delicate blue-green planet from outer space down to the smallest streetscape and stream-bed. With my own computer mouse, and with MapQuest or Google Earth, I can move from Mauritius to Manhattan in a minute; I can spin from the Seychelles to Seattle in a second. I can zoom down onto every housetop. I can see almost every car in every parking lot. But this is not a problem. This is not a loss. In fact, my ability to scan the surface of the globe with my computer in seconds is part of what assures me that I am linked to every living creature and every material object that surrounds me. Children like the two to whom this book is dedicated—growing up in their twenty-first century, Google Earth world—will never be able to conceive of the idea of wilderness in the same way that their parents and grandparents did, as a place so vast that the end of it can hardly be conceived, as a mysterious land area with which human have almost nothing to do. The Romantic idea of wilderness may be gone, but it has been replaced by an idea of wild spaces that need to be saved, places that have been saved or not yet been saved, spaces and places that have been preserved—or still need to be preserved—for human and, much less frequently, nonhuman reasons: the good of the biome, the lives of the species that live there. Society has reached a stage when some politicians and private citizens, as well as a growing number of scientists and environmentalists, now understand that it all needs to be sustained (if not “saved”): the nonhuman and human, the wild and tame, the rural and urban—the entire planet depends upon a new willingness to see urban and natural spaces as equally worth saving. Ecocritical awareness of the environment begins, in this sense, not with the “Green” revolution of the 1960s and 1970s, but with a new definition of “Nature” first offered by Romantic writers in the late-eighteenth and early-nineteenth centuries. Urbanatural Roosting: Planetary Living for a New MIllennium will offer a number of practical ways to bring the natural world to the urban world and the urban world to the natural world, to find ways that the nonhuman world can improve life in the human world, and–just as importantly–the human world can make life better in the natural world. The result will hopefully be solutions to numerous environmental problems that continue to plague our society and indeed the wider world culture. usexamines a number of those writers and their ideas, and then charts a pervasive paradigm shift, a revolutionary turn away from a fallen version of “Nature” that was static and unchanging toward a Romantic “nature” characterized by dynamic links among all living things. This shift eventually leads toward a new emphasis on connections between nature and society. Current emphasis on evolutionary ecology does not arise solely from a “Green” sense of the interdependence between organisms and their environments; it derives as well from numerous Romantic and Victorian thinkers and their view of the interconnectedness of all living—and even nonliving—things.This book will thus link the zoological and botanical imagery of William Blake to the eco-awareness of William Wordsworth; it will connect the eco-sensitivity of John Keats to the eco-anxieties of Alfred, Lord Tennyson. By the twentieth century, the concept of Romantic natural history will allow for a critique of the negative eco-theology of Annie Dillard and a challenge to the eco-catastrophic thinking of Bill McKibben. Along the way, a number of contemporary ecocritics—Greg Garrard, Jonathan Bate, Onno Oerlemans, and Timothy Morton, and numerous others—will reveal where the dominant current view of nature has come from, especially since that idea of “nature” now is not the same as the “Nature” described by Aristotle, Newton, or Charles Darwin. The possibility of “urbanatural roosting” chronicled in this website will link the ideas of Romantic natural historians and contemporary ecocritics to our current sense of an environmental crisis: Hurricane Katrina, the Gulf of Mexico oil spill, climate change, species extinction, and overall an increasingly uncertain human future. A look at the legacy of Romantic natural history will move beyond the word “nature” as it has been employed since the Enlightenment—and beyond the nature vs. culture split—toward the more inclusive idea of urbanatural roosting. Finally, this book will argue that Romantic ecocriticism now needs to give way to a more socially-aware version of environmentalism, one less tightly linked to narrowly Western ideas about the self, the “Other,” and the relationship between human beings and th natural world. Urbanatural roosting says that, if all humans are linked to each other and to their surroundings, then those same humans have specific ethical obligations to one another and to the entire world that they share. How might human beings roost on the world? To roost is to make a temporary home (oikos) in the surrounding environment, the way hawks or ravens or crows roost by day and even more often by night. Most birds roost in trees, while some roost just as successfully on the ground. Bobwhites roost on the ground—in fields and in meadows—while screech owls find hollow cavities in tall trees. This is just one reason why meadows and tall trees need to be left standing, since even otherwise “useless” meadows and dead trees with no other purpose, are roosting sites for countless birds of many species. Wild turkeys, like crows, find thick roosting branches high up in those trees. A bird initially roosts for its own benefit, and for the benefit of its own species, but roosting also has consequences for other species—and for the wider environment—as well. Roosts have an impact on the trees in which they exist, on high ocean cliffs and other nesting sites, and also on the wider surroundings. A bird gathers food from where it roosts, and it also may find its mate there. Many birds build their nests where they roost, or they hide themselves and their young from natural enemies there. Roosts are crucial to the life cycle of most avian species (White et al). The word “roost” describes a home, but also a home that affects, and is affected by, its inhabitants and their wider environment. As humans, we roost no less than hawks, or eagles, or ravens. To roost is to know one place so well that you can locate your home there, so well that you can use that local knowledge for your benefit and the benefit of those around you. Birds roost by using the natural resources around them, but the roost without harming those same resources—and those roosts—in the process. Human beings need to take a lesson from the birds; they need to start roosting more carefully on the earth. The phrase urbanatural roosting allows for a closer link between cities and the wilderness, between high rises and wild places. It also recognizes close ties between those who live within the city limits and those who live out beyond the city limits: in suburbs, small towns, rural areas, even out in the middle of nowhere. Humans, like dolphins and dogs and mayflies, are natural beings. Instead of continuing to describing the nonhuman world anthropocentrically—in human terms—there are now good reasons to describe the whole world ecocentrically. This is part of the message about “nature” that poets like William Wordsworth, John Keats, and Percy Shelley began to teach their early 19th-century culture. The scientist Charles Darwin came to understand that these same urbanatural links existed, as did–for example–the “meliorist” poet and novelist Thomas Hardy. What Will this Website Do? The practical recommendations provided in this website will explain the kinds of life that allow for urbanatural roosting and will also reveal the benefits of urbanatural roosting in a wide range of “urban” and “natural” settings. The goal, however, will be to see the entire world (i.e. our shared planet) in terms of this new concept of urbanatural roosting. At the same time, the scientific, architectural, agricultural and landscape developments presented here will provide a revealing look at links between aesthetic and utilitarian ways of linking ideas about the urban and ideas about the natural in the coming years and decades.